I've now been subscribed to Birchbox for about 5 months now (Still waiting on my 5th box!) 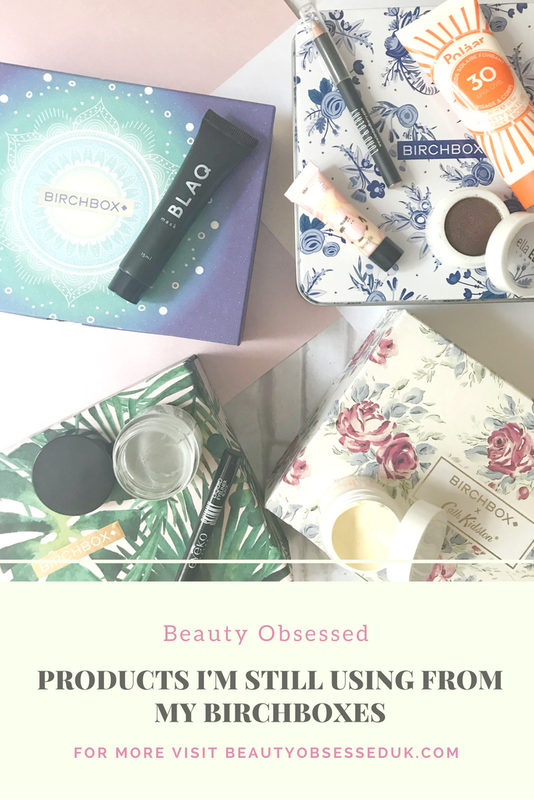 and so far have really enjoyed every box that I have received, for this post I thought I would show you all the products that I have continued to use and love from all my birchboxes. 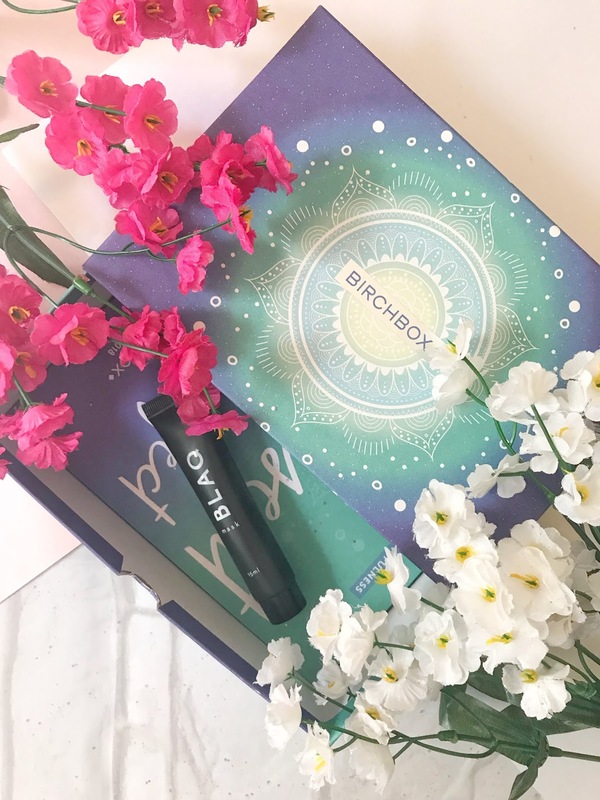 March was the first month that I subscribed to Birchbox and that was a couple of months ago now and I'm still using one of the products that I got with my first box. The sample was a deluxe size which I only just finished it and will be repurchasing! This mask has done wonders for my skin, it has helped reduce the size of my pores (I have oily skin so this was needed), draw out impurities and reduce blackheads which I think it really has for my skin. I had quite a few blackheads on my nose and this mask has helped to reduce them. I use this mask once a week on the areas that I think I need the most work, this has helped the amount of mask be prolonged. I will be repurchasing the full size of the mask as my skin has definitely improved with using it. 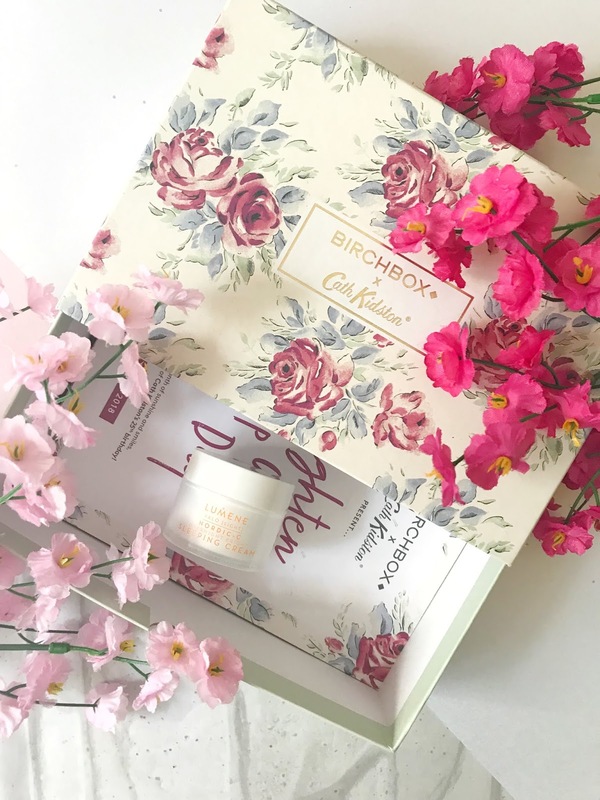 Aprils Birchbox was designed with Cath Kiddson and had the prettiest box. I am still using one of the products that I got in this box and it is actually one of my all-time favourite products that I've received. When I first started using this product I didn't realise how much that I would actually enjoy the product. I am also still using the sample size as it was such a generous amount of product and a little goes a long way with this moisturiser as it is quite a thick consistency. I tend to use this product right before bed after I have applied my normal moisturiser, it helps to make my skin feel really soft and moisturised when I wake in the morning. It has also really helped with the areas of my skin that are slightly dry by rehydrating my skin. May was my favourite design of the box with this pink and green leaf pattern. With this box, I am still using two of the products that I received as the sample sizes were really great. This liner is probably my favourite makeup item that I have received from all of my birchboxes. 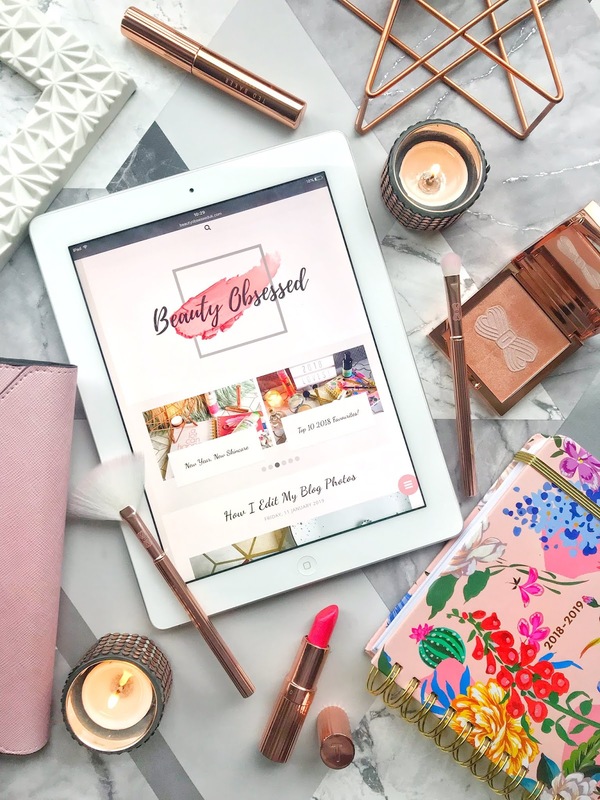 I wear it nearly every day for just a normal cat eye or if I'm going out of an evening I do a thicker cat eye and its just as easy to apply, the small felt applicator helps you to do this. This liner stays on all day without budging and doesn't wear away and fade which I hate with liquid liners. The colour also stays a really dark black and it dries matte. Before I tried out this deodorant balm I had never thought about trying a more natural deodorant and I didn't think about how many chemicals there can be in deodorants. 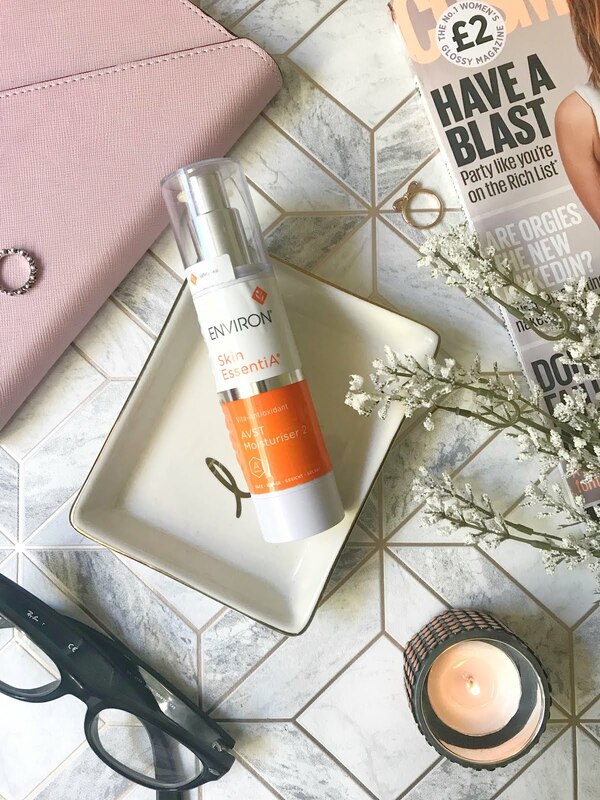 This balm is actually really great, I have tried so many different deodorants which just didn't work and this one really does by keeping you sweat free all day! It also has a really nice fresh scent and is very easy to apply. It is more expensive than other deodorants but it lasts a really long time because you don't need too much on each application. June was my most successful box as I'm still using four different products including makeup and sun care. 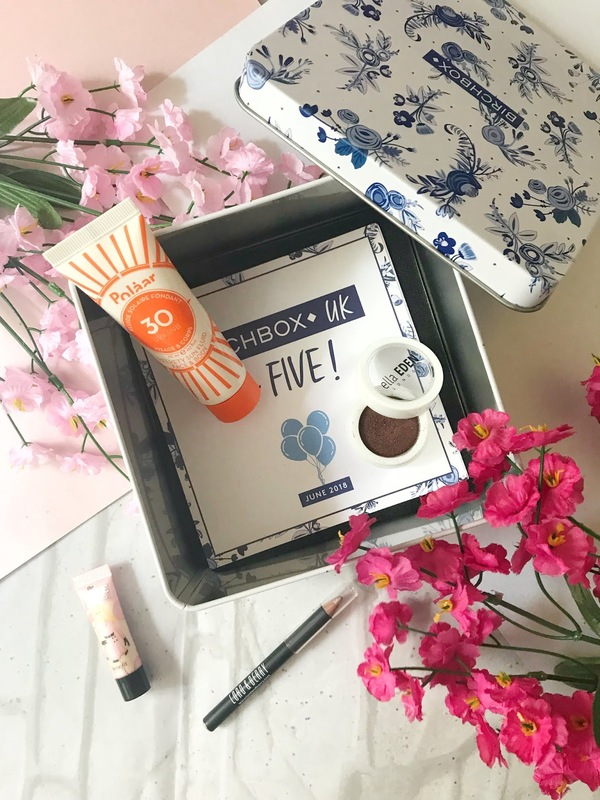 June was also the month of Birchboxes 5th Birthday which they gave you a tin keepsake box with a really cute design. I have a love-hate relationship with most sun creams because I have a medium skin tone some sun creams can give me a white cast on my skin and the others have that sun cream smell which I really don't like. This sun cream doesn't do any of that, it has a thinner consistency and also has a really nice fresh scent. This sun cream also sinks into the skin really quickly and also leaves you feeling moisturised. This eyeshadow was the full-size product that you received in your June Birchbox. I chose to have the colour Faith which is a deep brown colour with a slight shimmer with to it. I have used this colour a lot since receiving it because of its such a flattering colour. The formula of this eyeshadow is also really good as it doesn't have too much fallout and has great pigmentation. Recently I have really been enjoying using different highlighting pencils and this one that I received is probably my favourite. It has such a strong highlight which is more glowy than glittery which I really like. I like to use this highlighter for highlighting under my brow bone and also for adding some highlight to my inner corner. In my first impression of this primer, I wasn't sure about it but I have grown to really enjoy using it. I still don't think that it is too brightening but it works really well as a pore-filling primer which is what I want. The primer goes on the skin like a dream and it also helps my foundation look flawless. I have been so happy with my Birchboxes that I have received so far and cannot wait for more boxes to come. 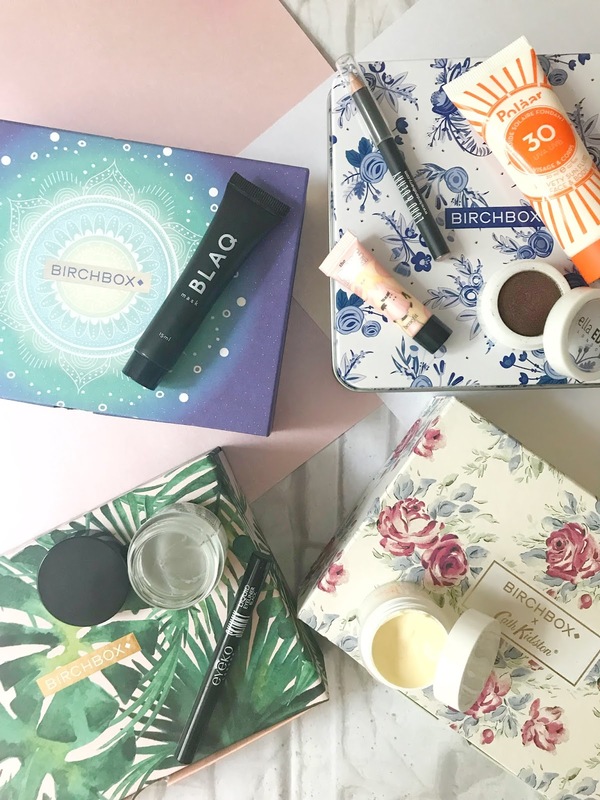 Have you been using products from your birchboxes? I really love Birchbox, I’ve only just subscribed a few months ago! Can’t wait for my boxes to come to try out new products. Lately my skin has been oily, which is not it's typical state. I wonder if the mask is good on sensitive combo skin too. I definitely need to check out the sunscreen because with my skin tone it seems like they all leave a white cast! Glad to know you found one. Your images are so beautiful, glad Birchbox gave you some good stuff. O and I wanna check out the liquid liner, kinda feel like that'll be a good one. 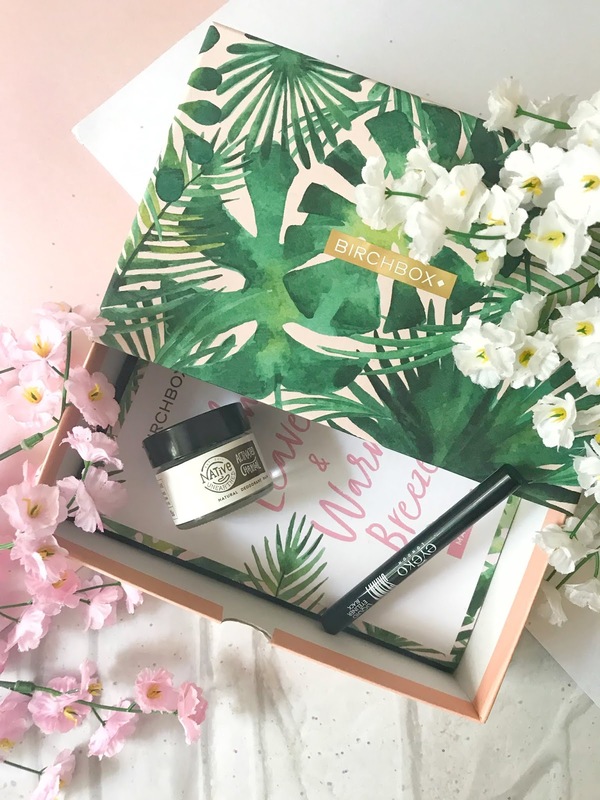 I keep umming and ahhing about whether or not to sign up to Birchbox, but the June box does look really good! Especially the suncream, I'm still trying to find one I enjoy using!